Three museums curated simultaneous exhibits on the artist’s work. While the career retrospective can be described as a co-curated show, the three institutions (the Guggenheim in New York, Houston’s Museum of Fine Arts and the Los Angeles County Museum of Art) independently represented Turrell’s body of work by taking different approaches to the artist. They all showcased Turrell’s themes of perception, space, architecture, astronomy and light, yet each institution punctuated distinct phases of his career and drew upon personal ties to the artist. Turrell was a Guggenheim fellow and the museum transformed their space into a large scale “site specific installation”. Turrell studied Perceptual Psychology at Pomona College and received his MFA at Claremont College; his LACMA retrospective showcases aspects of his Roden Crater work (which is ongoing) and his Perceptual Cell series (sold out through April!). 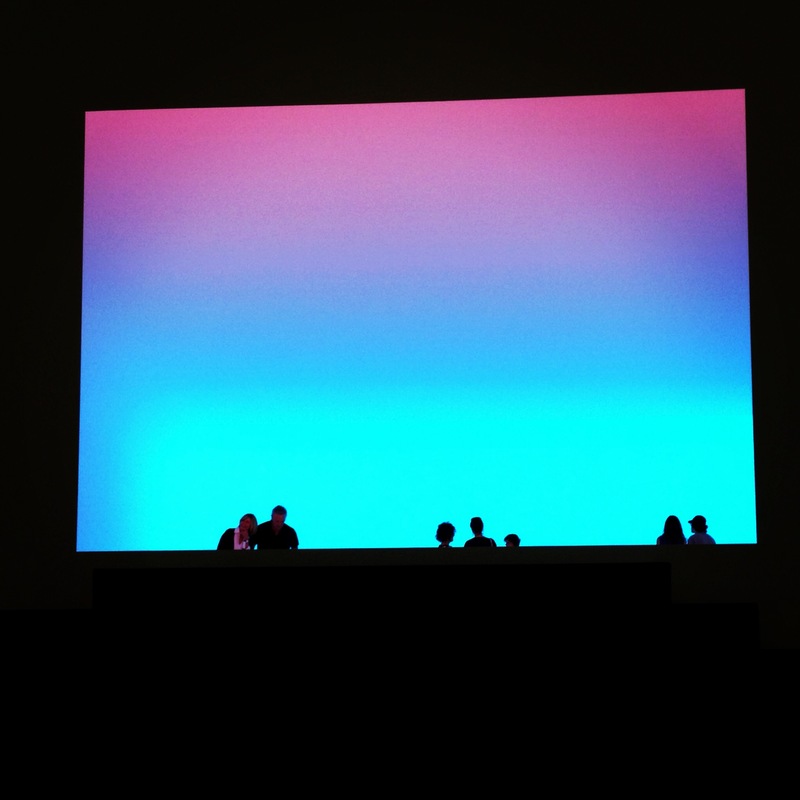 Houston boasts the largest collection of Turrell’s work in the U.S. The fluidity the three museums employed to both celebrate Turrell and educate their visitors was remarkable. Recently, curators from all three museums participated in “Ask a Curator Day”, a Twitter Q&A of global curators answering questions about their museums and their careers. For the 3 museums participating in the Turrell exhibits it gave them a chance to share behind the scenes insights into creating this innovative multi-state tribute to a living artist. A great transcript of the Guggenheim discussion can be found here. My thoughts on LACMA’s exhibit? It was a roller-coaster ride of anticipation met with trepidation and skepticism. When my Instagram feed started filling up with selfies taken at the Guggenheim and LACMA I started to indulge in some of the techno-gimmick haterade that started swilling around social media. I heard about Perceptual Cell being sold out through April and the long lines, and became a bit reluctant. I decided to go after chatting with one of my Twitter followers who gave me some good advice and a gameplan for tackling the exhibit out of sequence starting with the Ganzfeld (Breathing Light). I will say that the experience was initially off-putting (taking off shoes, sitting in a waiting room, then being allowed into the space in small groups), but once inside the space the experience was nothing short of surreal and transformative. In Breathing Light you are placed in a large white space with imperceptibly slow, undulating light movements that mimicked both atmospheric changes (like feeling you were in a thick fog) and the sonic dissonance of white noise (like the hypnotic feeling of listening to waves). 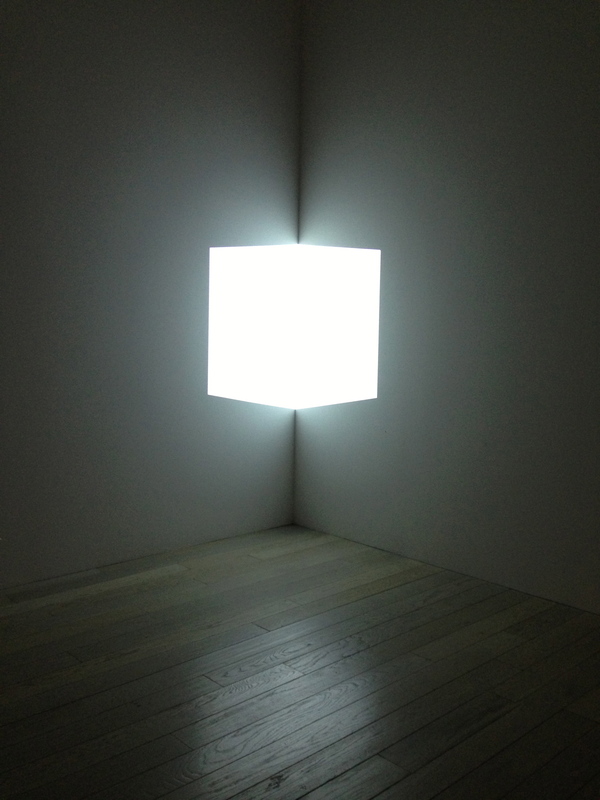 It is at this point that I come to a crossroads in explaining the exhibit and Turrell’s work. 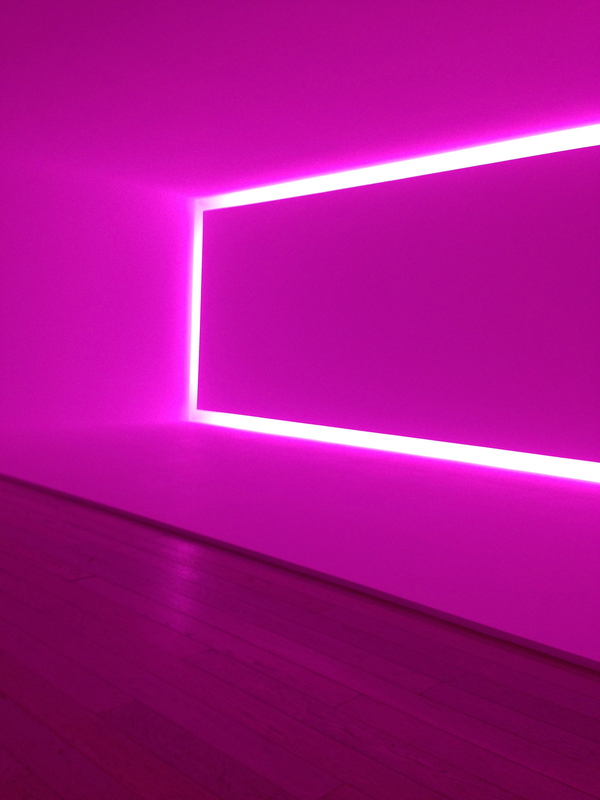 There are far more academic publications that can get into both the technological details and symbolic representations of Turrell’s work, which I think as a whole is quite stunning and technically an inspiration (across all of his artistic mediums). I will say that after reading more about Turrell’s background and the environments that his works simulate that there are strong religious themes to his work. Optically and technologically they are amazing mysteries, but at the end of the day I keep going back to how I felt after experiencing this exhibit. Today the Guggenheim posted a great quote about Turrell’s work. He “calls his art ‘nonvicarious’ art because it can only truly be experienced firsthand.” This is why pictures simply don’t do his work justice. I felt like I walked out of a massage, then into a yoga class, and finally spit out of a tilt-a-whirl; it was simultaneously relaxing, meditative, inspiring and disorienting. I honestly didn’t want to leave. I would have liked two sessions in the Ganzfeld; one to try to “figure it out” technically, and the other to experience it. After about 2 minutes in I stopped trying to figure it out and just let the experience take over… I think that in and of itself is a metaphor for viewing art in all its forms. p.s. Confession. I have a Turrell selfie… I am now part of the problem! Sounds as if you had to turn off the brain to allow you to fully “experience” and enjoy it. Sometimes life works that way too. Thanks for sharing. So very true. Thanks for that reminder!